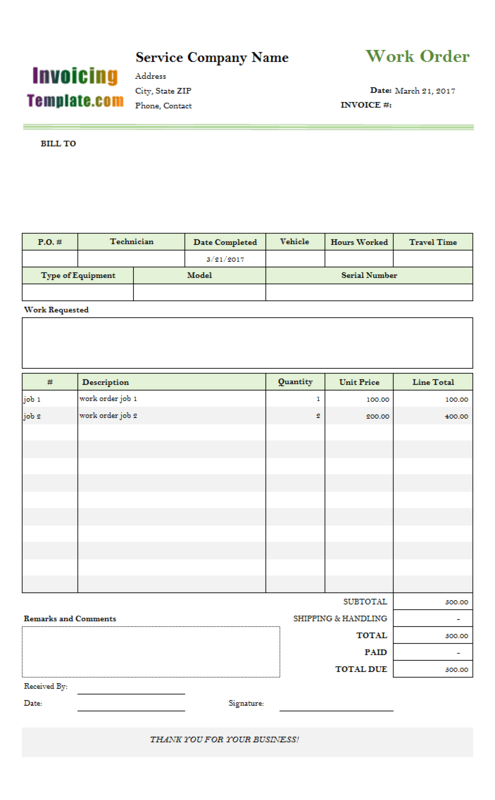 c6016 now includes the customized invoice template for the latest version of Invoice Manager for Excel. 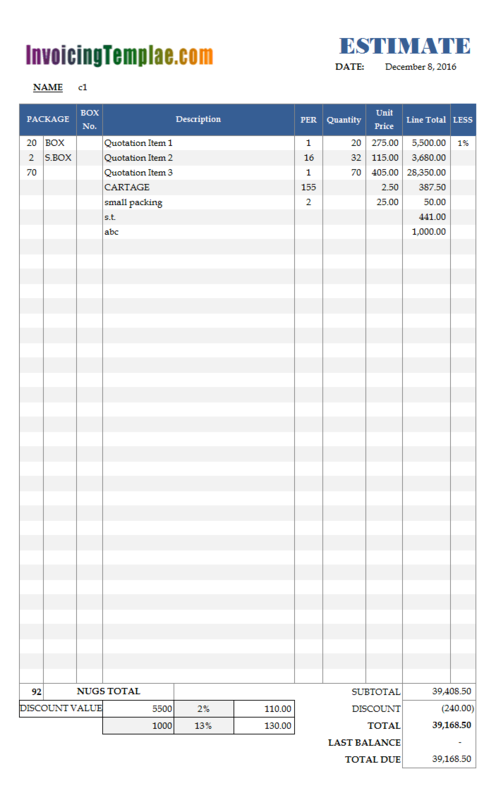 This is what you will see when you open debitnotetemplate.xlsx. 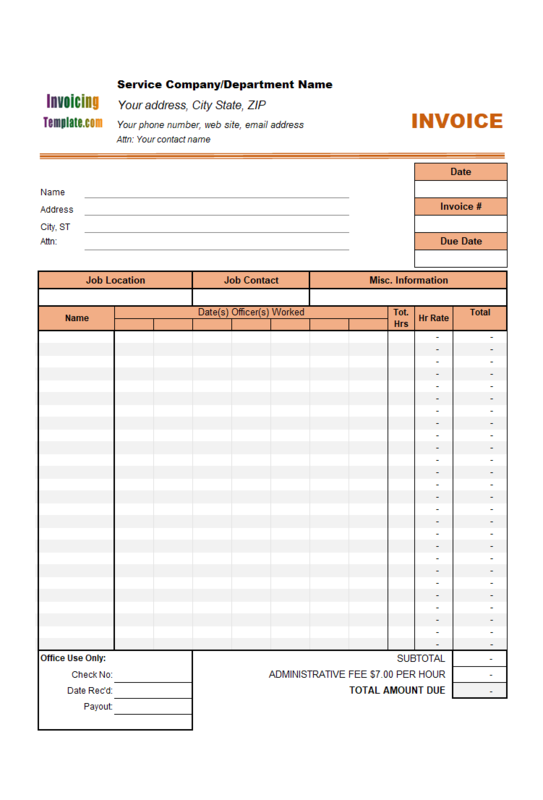 Debit Note Template is a general purpose Excel-formatted template for creating professional debit note and debit note invoice with easy and quick. 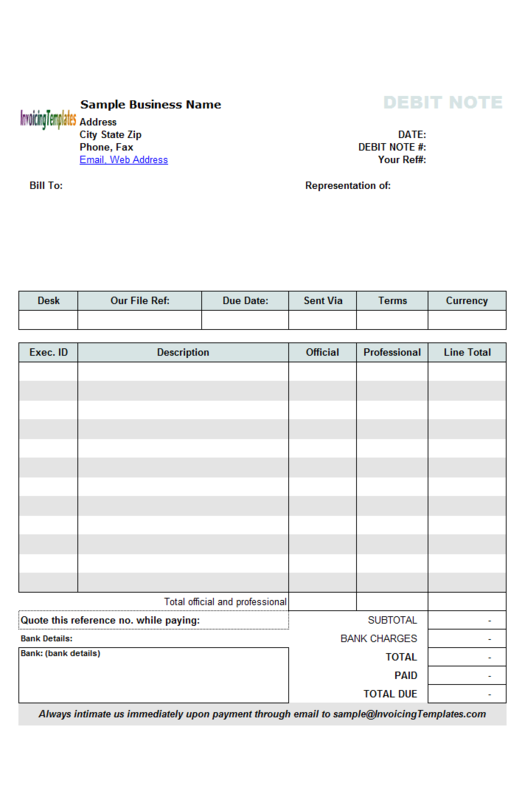 The debit note form has 6 columns on it, including item#, description, quantity, UOM (Unit of Measure), Unit Price and Line Total. 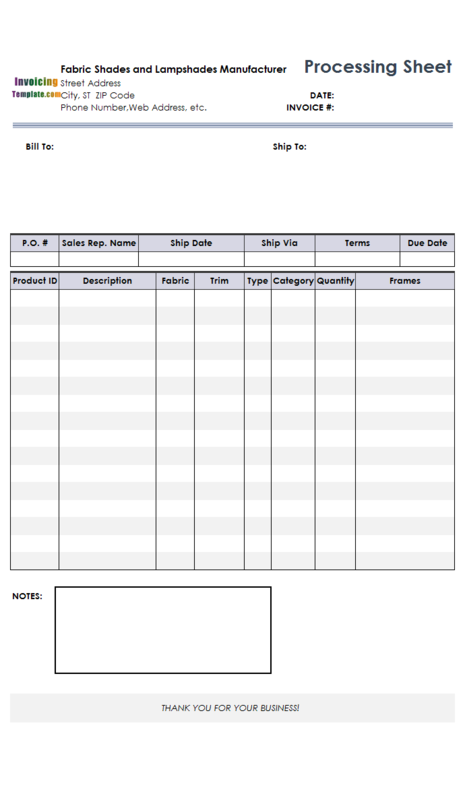 A debit note is a note indicating an amount owed by a person or company, serves the similar function as an invoice. 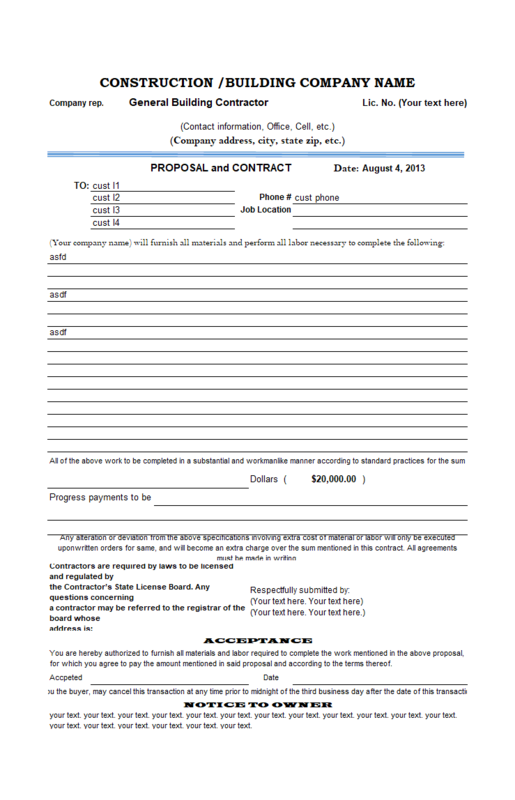 A debit note or debit memorandum (memo) is a commercial document issued by a buyer to a seller as a means of formally requesting a credit note. A seller might also issue a debit note instead of an invoice in order to adjust upwards the amount of an invoice already issued (as if the invoice is recorded in wrong value). A debit note is raised in number of cases as given below: a) If Material short received in quantity, 2) If excess rate charged by the party, 3) If anything which is not mentioned in purchase order is charged by party in invoice like Freight / Loading - Unloading exp. etc. 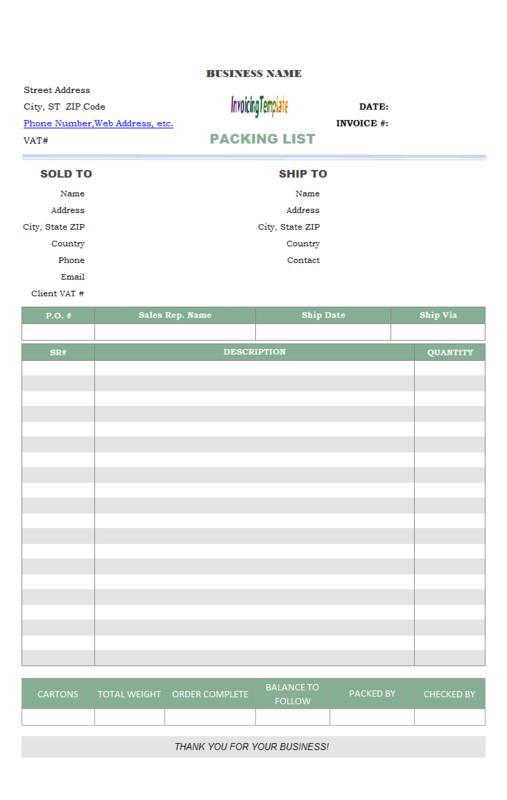 As a comparison, an Invoice is prepared whenever goods are sold to customer, which contains item description / item code / quantity sold / rate per unit / Unit of Measure (UOM) / total Amount / tax etc. 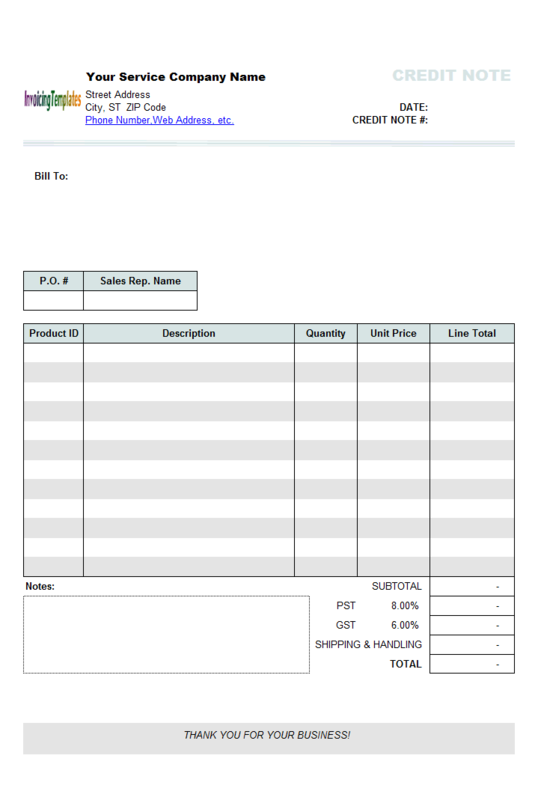 An Invoice is raised under the following circumstances: 1) when there is a buyer and a seller, 2) Sale transaction happens and title to the goods passes on to the buyer, 3) Complete list of such goods dealt by an enterprise, are registered with the VAT authorities (See more examples at VAT invoice templates. You can think that a debit note is a document used by a purchaser to inform a vendor of the quantity and dollar amount of goods being returned, and requesting that the dollar amount be returned to the purchaser. A debit note is often used to return goods on credit. The vendor then issues a credit note to the purchaser indicating that the goods have been received, and that the purchaser will not have to pay for them. Debit notes are generally used in business-to-business transactions. Such transactions often involve an extension of credit, meaning that a vendor would send a shipment of goods to a company before the goods have been paid for. Although real goods are changing hands, until an actual invoice is issued, real money is not. Rather, debits and credits are being logged in an accounting system to keep track of inventories shipped and payments owed. 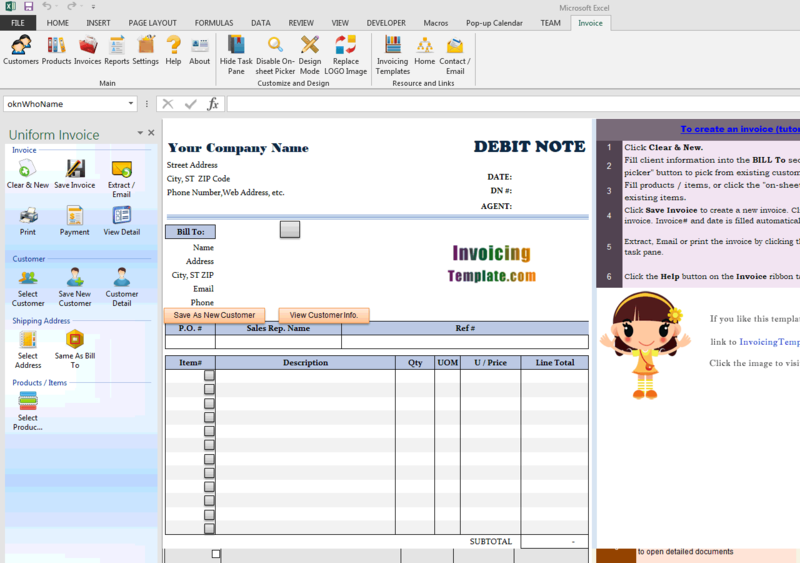 The implementation of this debit note template in Microsoft Spreadsheet format is designed for general purpose usage. 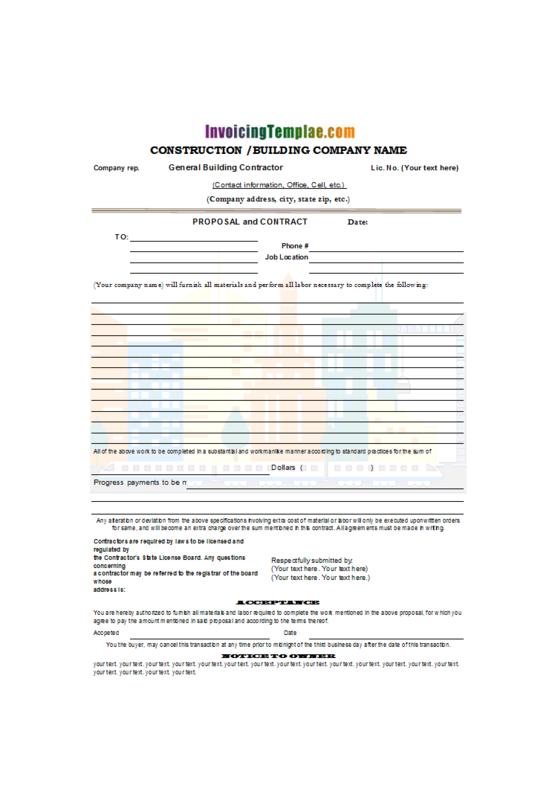 As a sample of creating custom formats and layouts, InvoicingTemplate.com also is also providing you with another debit note template for attorney. 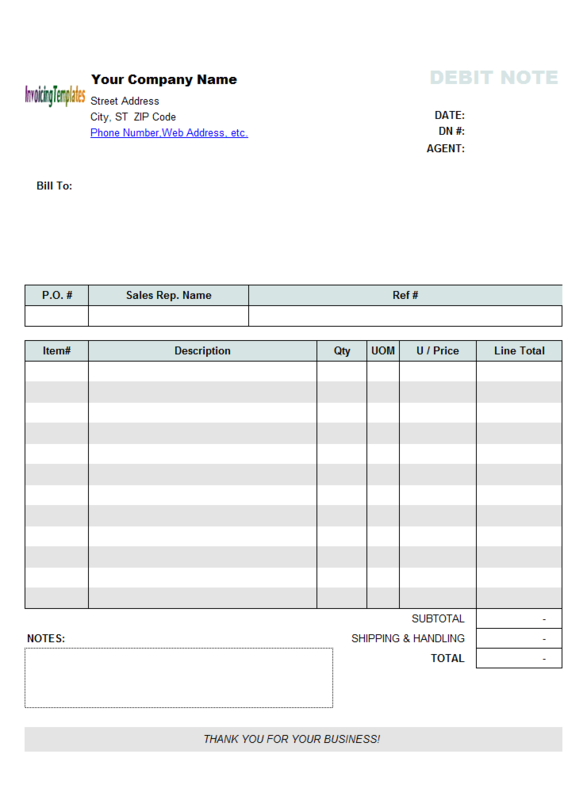 This debit note template contains regular fields that are seen in the default sales invoice template shipped with Invoice Manager for Excel. In addition to that, it also contains two custom fields - Agent and Ref#, as well as a custom column UOM (Unit of Measure). 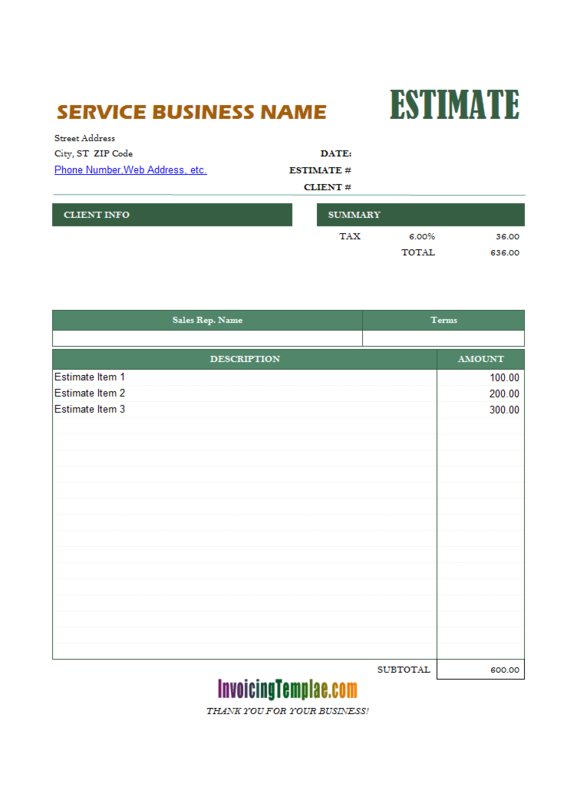 Agent and Ref# are custom fields that are added to Invoice Header database table, and the UOM field is a custom field that is added to both the Product and Invoice Body database table. 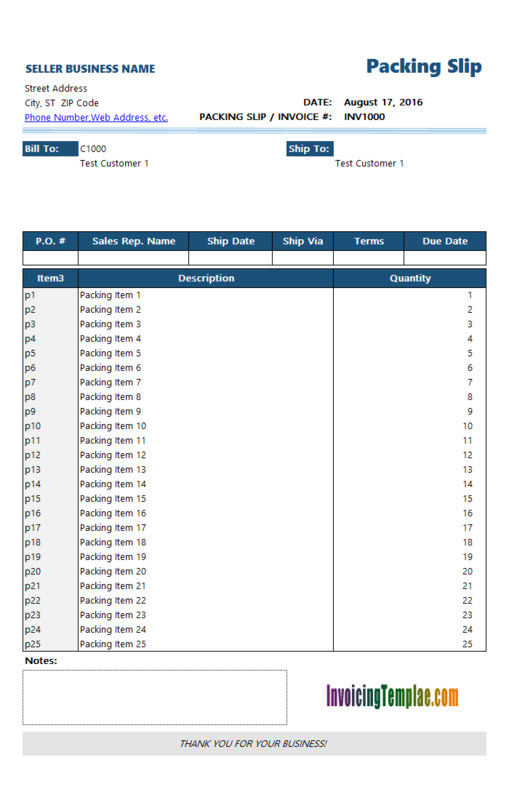 How do I add custom field to Product table? 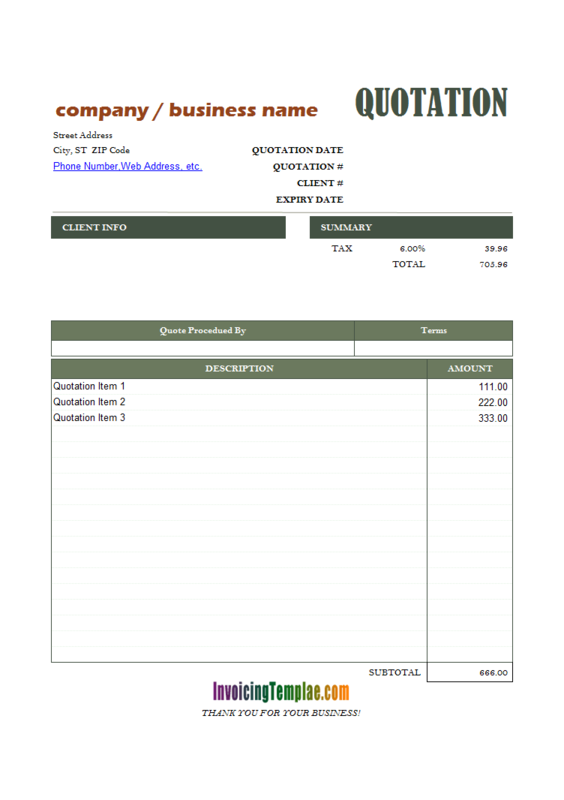 Like other form designs here on InvoicingTemplate.com, Debit Note Form is free (offered to you at a price of 0.00USD). It works on Windows XP and all newer versions of Windows, and Excel 2007, 2010, 2013 or 2016. 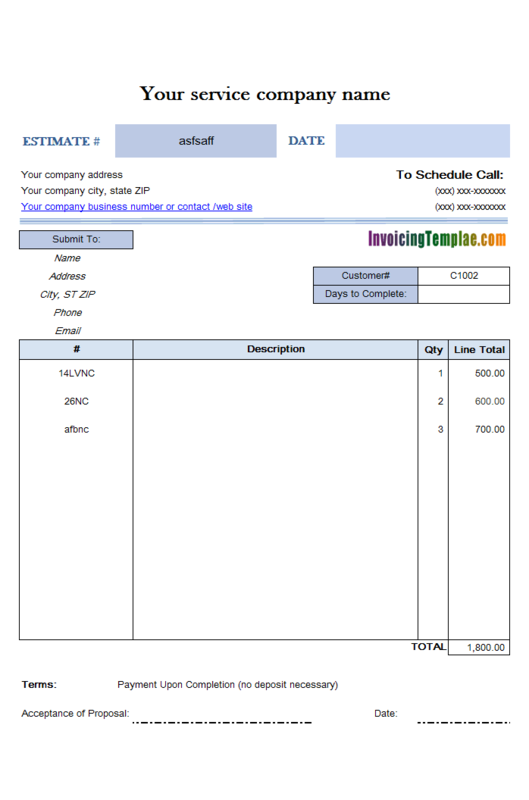 Moved "Customer #" out of the "Bill To" section. Relaced all ActiveX labels with text or form controls. Moved the logo image to location next to the "Bill To" section. 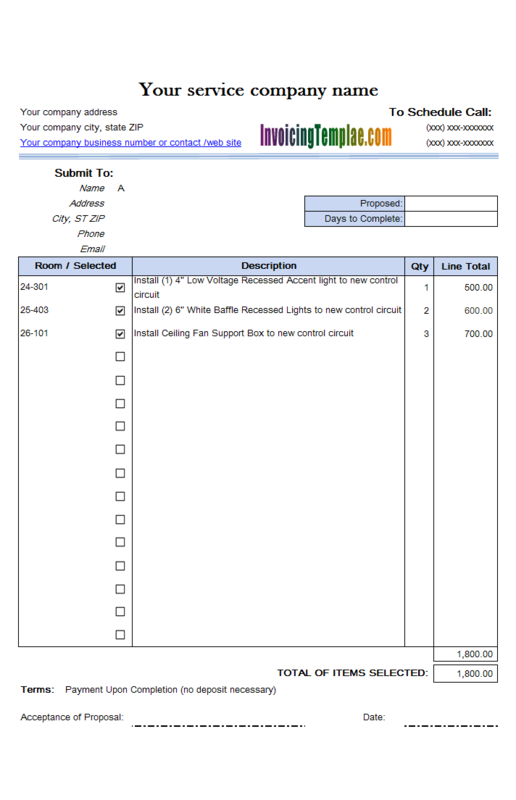 Converted all the "Select a product" buttons and "Taxable" check boxes from ActiveX controls to Excel form controls.